Hooray for the 4th of July! In the 21st century, July 4th is a day of celebration – filled with red, white and blue! Just two weeks into summer, it’s an excuse for a day off work, hallmarked by barbecues, boating, cold beverages, and fireworks. Would the founding fathers be surprised to hear this day is still observed? While what they did in 1776 was much more significant, it would seem that today’s holiday is more fun! When the first battles broke out in 1775, very few colonists were actually in favor of seeking their independence. In fact, those who pushed for it were considered quite radical. By the summer of 1776, resentment against Britain had grown stronger and Thomas Paine had published his famous pamphlet, Common Sense. By the time the Continental Congress gathered in Philadelphia in June, Richard Henry Lee of Virginia felt strong enough about the subject to make a motion for the colonies to become independent. The vote was postponed, but a five-man committee of Thomas Jefferson, John Adams, Roger Sherman, Benjamin Franklin, and Robert Livingston was appointed to draft a formal proclamation. Almost a month later, after much-heated discussion, Lee’s resolution was passed by a near-unanimous vote on July 2, 1776. The Declaration of Independence was officially adopted two days later on July 4th. If John Adams had his way, people today would celebrate two days earlier. He told his wife: “July 2nd will be celebrated, by succeeding generations, as the great anniversary festival.” He added that there should be: “pomp and parade…games, sports, guns, bells, bonfires, and illuminations from one end of this continent to the other.” Except for the date, Adams was correct! People today still celebrate Independence Day, bigger and bolder than ever before. In 1781, Massachusetts led the charge, making July 4th an official state holiday. While Independence Day was universally celebrated year after year, it didn’t actually become a federal holiday until 1870. It wasn’t until 1941 that it became a paid holiday for federal employees – and other companies soon followed suit. Today, the holiday signifies patriotism and is a day to celebrate what the U.S.A. has become. Flags fly at homes across the country and The Star-Spangled Banner is played in every parade. Of course, it doesn’t hurt that Independence Day falls in mid-summer, when the weather is perfectly suited for an outdoor party. Somewhere along the line, someone decided that music, picnics, and parades weren’t quite enough and fireworks were added to the mix. While there might not be a parade at Regency Pointe, there are plenty of patriots among the residents and you’re bound to find something red, white, or blue on the calendar or menu that day. 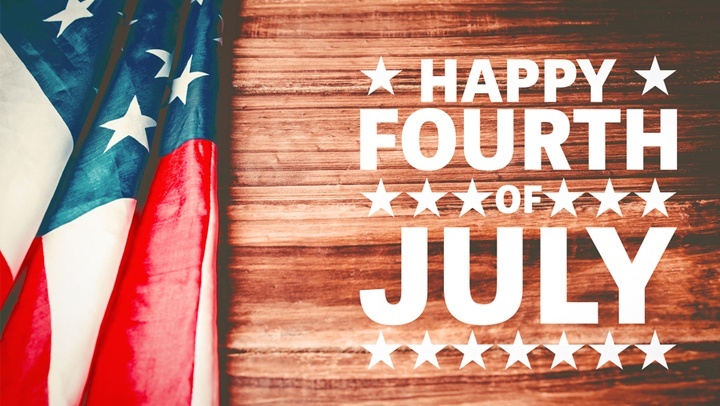 Visit Regency Pointe to discover how we celebrate the Fourth of July!